Mahindra BLAZO - Total Peace of Mind, Guaranteed! 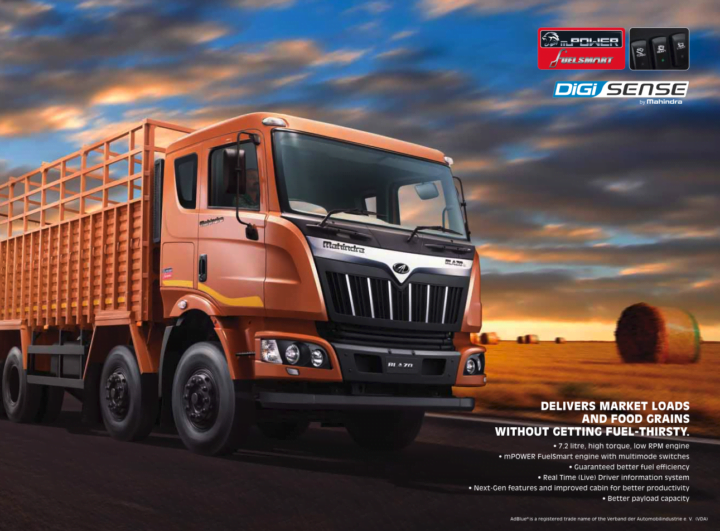 Mahindra BLAZO – Total Peace of Mind, Guaranteed! 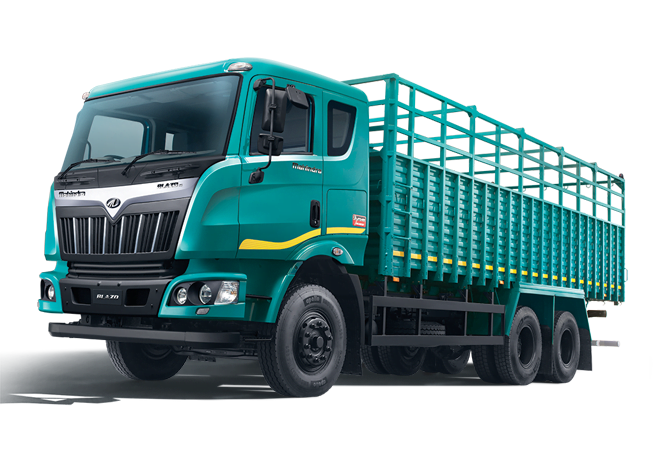 The Mahindra BLAZO range of heavy trucks from Mahindra Truck and Bus (MTB) Division has managed to leave a mark on the entire commercial vehicles industry in a rather short span of time it has been in the Indian market. Dubbed as the country’s first ‘smart truck’, it has been beneficial to many transporters due to its best-in-class fuel economy. The Mahindra BLAZO comes equipped with ‘FuelSmart’ technology, which goes on to optimize the fuel efficiency, thereby resulting in lower running costs. What’s more, it produces lower emissions due to the recent switch to BS IV-compliant CRDe engine. A point to note here is that while it’s only after the switch to BS IV norms that most of the competitors have shifted to the CRDe technology, the Mahindra BLAZO benefits from the brand’s 10-year strong experience with CRDe engine. In another great development, the Mahindra Truck and Bus Division has decided to carry forward its unique ‘Mileage Guarantee’ from the pre-BS IV models to the new BS IV ones. 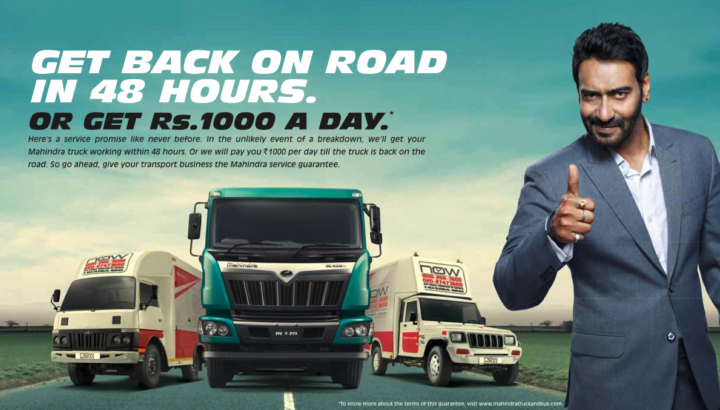 As per this, Mahindra assures its customers that it would take back the vehicle in case a customer doesn’t get better fuel efficiency than the rivalling trucks. It is noteworthy here that even though the truck range has clocked a cumulative mileage of 12-crore kilometres so far, not even a single truck has been returned. This alone is a reflection of the high efficiency this new-age truck offers. The reason behind such stellar fuel efficiency is the application of FuelSmart technology. Just like the driving modes in high-end cars, the Mahindra BLAZO comes with modes like – Turbo, Light and Heavy – that can be used as per the road and load conditions. ‘Turbo’ mode comes in handy under high load conditions on an uphill road or under other tough conditions. ‘Heavy’ should be used when the truck is fully loaded but plying on a well-paved highway. The ‘Light’ mode should be put to use when the truck is returning to its base after completion of the assignment. All these modes alter the engine’s power delivery and hence, optimize its fuel efficiency and performance under challenging conditions. In addition to the first-in-segment mileage guarantee, the Mahindra BLAZO also comes with many other assurances that are not offered by any other commercial vehicle in India. The most important of these is the 48-hours Uptime Service Guarantee, which ensures that the truck is back on road from the service centre in the shortest possible time. Mahindra has also created an online portal – www.m2all.com where customers can order spare parts. This has made it things hassle free for customers. More so, Mahindra is also offering a set of other guarantees that are absolutely loved by truck owners. The new set of guarantees stands true to the company’s powerful claim exclusive to Mahindra BLAZO owners and that is -‘Har Cheez Guarantee Ke Saath’ which means everything we give comes with a guarantee. A Service point every 60 KMS on the Delhi-Mumbai highway– the busiest route in the country. A service team is guaranteed to reach the broken-down truck within 2 hours on the Delhi-Mumbai Highway, failing which the truck owner gets compensated at Rs. 500 per hour. Guaranteed availability of fast moving maintenance parts at all MTB MPlaza stores, failing which the parts are arranged and sold for free. With an exhaustive list of guarantees covering every important aspect of truck driving, the Mahindra BLAZO range of trucks goes on to offer complete peace of mind! With this, it will be quite fitting to say that Mahindra has brought a revolution in the Indian CV sector.